Giving yourself a weekly living allowance gives you the framework of a budget, but the flexibility your lifestyle needs. It can be a great way to monitor spending so you can successfully save. Welcome to Day #7 of the 30 Day Property Journey. Over the next 30 days I’m going to be helping you to take steps and do activities to become a more confident investor so you can go out there and buy your first property. Today we will discuss giving yourself a weekly living allowance so that you don’t dig into your savings and so that deposit that you save doesn’t disappear because you are living off it. Giving yourself a weekly living allowance does sound like something your parents did when you were a child. Whether you spend it on food, toys or whatever is up to you. 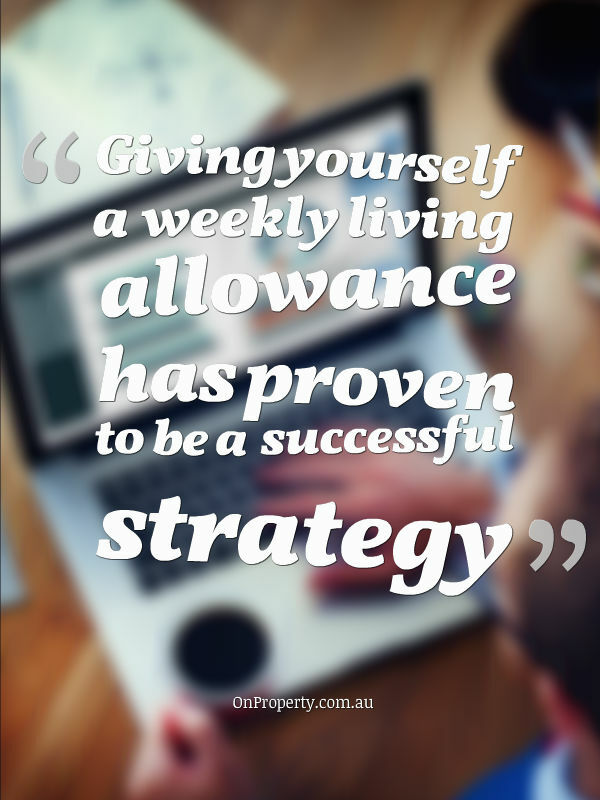 Giving yourself a weekly living allowance has proven to be a successful strategy that me and my wife have used. There are a lot of awesome savings blog out there and articles about how to save and how to live frugally. That being said I am not the ‘go to’ guy for living frugal. 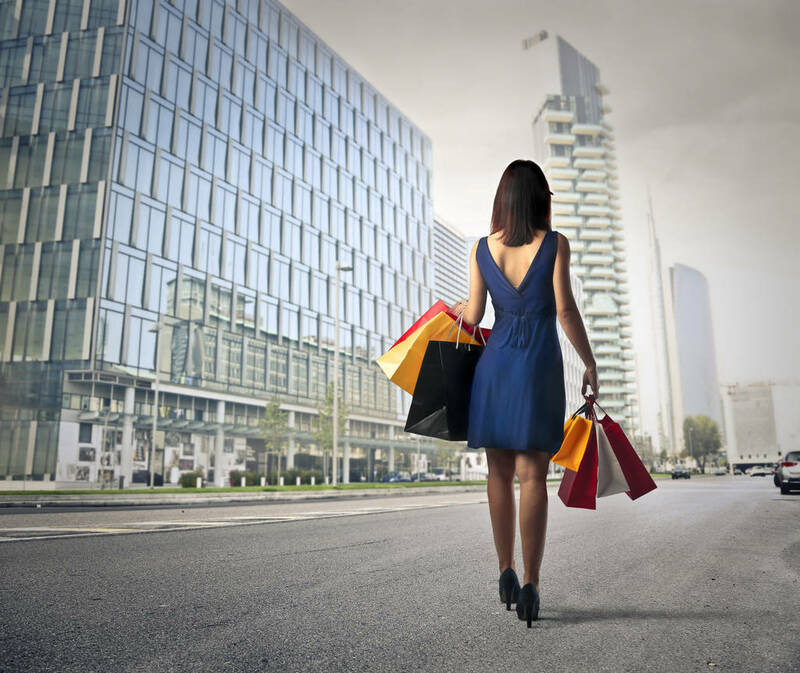 However, this is something that has been very successful to me and my wife and helped us really manage our spending and understand how much money we really have so that we could strive to live within that limit. Are we always successful? Of course not, no one is perfect. However, this helps keep a lid on our spending, even when we do go over. Having an allowance really helps us and gives us a framework to live our lives and to live our lives quite well. The idea is to start by sitting down either by yourself or with your spouse depending on who manages the money. You might want to do it together (usually I would sit down and do the sums and then I would talk it over with my wife and say here is how much we make, here are our regular bills etc…). Basically what you want to do is sit down first and calculate your income and when it’s coming in. You might want to do it over a month but for us we get paid weekly so we do it on a weekly basis. We also work stuff out on a weekly basis but we also look at the monthly bills as well. I think the best idea is to sit down and work out how much income you are making per month and then to look next at your monthly bills. What is a regular monthly bill that you have? For us, we have 2 mobile phones, internet, car insurance and weekly rent. Write down all of those constants (things that don’t change) in your life . You will calculate your electricity bill, your internet, your rent and your other spending habits so that you can subtract that from how much you earn since the regular bills obviously need to be paid out of your earnings. After you subtract those expenses, you will get how much money you have left to live off of. If you are using the strategy I talked about in Day 4 about upgrading that deposit savings plan, then you will also subtract the amount of savings you are putting away because that is a regular expense that you are paying on an ongoing basis so you have take that out of your earnings. After doing the math, you get the figure you have left for the month and what you might want to do is divide that by 4 or 4.25 to get a weekly figure of how much money you’re roughly going to have every week. The next thing to do is to then decide is how much your living allowance is going to be after you’ve paid the bills and saved a certain portion of your money. Your weekly living allowance would include things like food, going to the movies, entertainment or going out to lunches. It also counts towards buying beers and coffee. Doing this is going to give you a structure to where you have a certain amount of money to spend each week. The reason I find that this works over other savings plans and budgeting strategies that I’ve looked into is because it isn’t complicated. Other plans strategies I’ve looked at have you break down how much you spend on food, entertainment and fun on a weekly or monthly basis. It would be really difficult for the average person to allocate a set amount of money into “fun” or “entertainment”. Most of us don’t live our lives like that and we live a lot more sporadically. So by breaking it down into a set weekly figure at maybe $450 to $500 a week for a family or $200 a week for yourself you can have some flexibility about what you put that money towards. For us, we live on the Gold Coast and everyone seems to holiday up here and so you might have people coming up to visit for one week. Rather than spending that money on groceries that week, the money can instead go towards eating out or doing something fun with the kids. So based on what our living situation is like that week, we will adjust our spending accordingly. If we’ve found that we have been spending too much then we really need to have a tight week. We will spend most of our money on things like groceries and we’ll eat more at home and be more prepared for that. Then all of sudden we get sick of eating at home and so we buy less groceries and we go out more often. It really just gives us that flexibility to change our lives. We’ve got money there to spend however we want. Sometimes we spend it on groceries, sometimes the movies, sometimes on toys for the kids as it might be their birthday. But the allowance also gives us a framework to work within so we can continue to save and move forward in our financial goals. So this has been really helpful for us in our savings and I hope that this technique could be helpful for you as well. I just want to close by acknowledging that everyone is completely different. You might not be the same as me. I love simplifying stuff. I hate it when things are complicated so this simple strategy works for me but maybe it doesn’t work for you. Maybe you like things to be more structured or more laid out so this might not be the best strategy for you. But for some of you it might be a very good strategy and it is at least worth trying. So give it a go to see what you think and if it works for you then you’ve just created a way to manage your money easier with less stress. If you haven’t already, you should look into purchasing my essential guide to buying your first property in Australia. If you are looking to purchase a property then it’s so important that you know what steps you need to actually purchase that property. I made a massive mistake when I was trying to do my first deal. I went to the only lender who wouldn’t take rental income into account. They took a rental yield of 3% and I was trying to buy a property that had a 10% rental yield and so I almost couldn’t get the loan and financing because they wouldn’t take rental income into account. Issues like that and making those silly mistakes can simply halt a deal or make it completely stop if you don’t know how to do your research. You could also end up buying a dull property which would cost you thousands of dollars. So knowing the steps to take to buy a property is going to really help you in the process of investing and being successful in your investment.